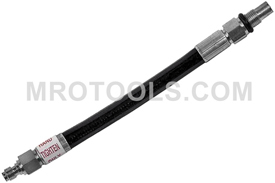 The TU-15-22A Kastar Diesel Adapter M10-1.00 Glow Plug- Ford/Navistar is one of thousands of quality tooling products available from MRO Tools. Please browse Kastar Diesel Compression Testing Adapters for tools similar to the TU-15-22A Kastar Diesel Adapter M10-1.00 Glow Plug- Ford/Navistar. TU-15-22A Kastar Diesel Adapter M10-1.00 Glow Plug- Ford/Navistar description summary: Kastar Diesel Adapter M10-1.00 Glow Plug- Ford/Navistar. Adapter for Ford/Navistar 1994-2004 7.3L Turbo, Direct Injection Power Stroke; Navistar/International 7.3L T444E. Quantity discounts may be available for the TU-15-22A Kastar Diesel Adapter M10-1.00 Glow Plug- Ford/Navistar. Please contact MRO Tools for details.